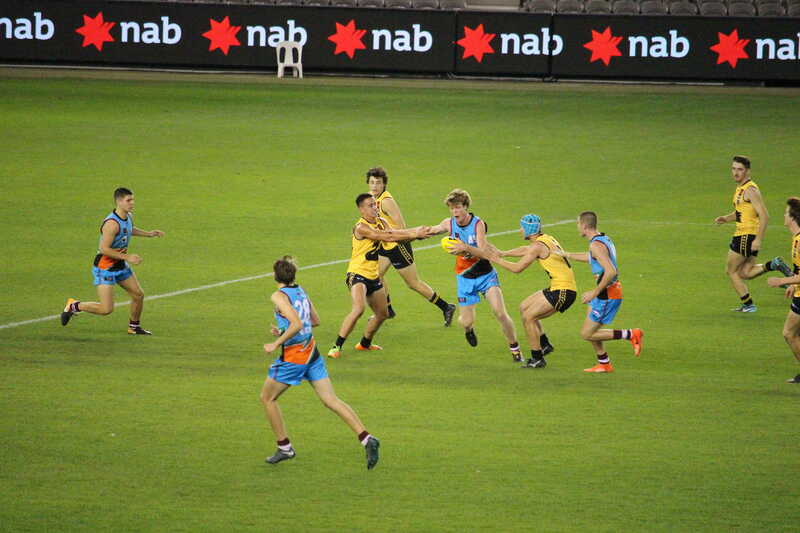 WE made the trip down to Etihad Stadium yesterday and saw the conclusion to the National Under 18 Championships. Here we take a look at every player in both games and see how they fared on the night. Lenny Fogliani, Cameron Ross, Scott Dougan, James Goller, Craig Byrnes, David Chapman, Jamie Morgan and Damon Mattiazzo all combined to provide the notes. Budarick was a strong tackler for the Allies having eight for the day – he was really fierce in the contest. He played like a smart footballer and made good decisions with the ball. His kicking was good all day and included three inside 50s. 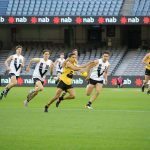 The 2019 draft prospect spent most of his time on the wing and through the forward line. Stern had 10 possessions for the day. He showed courage going back with the flight in a marking contest – he didn’t flinch. He kicked the ball really well, especially in the last term. Stern also displayed good hands in the contest, playing mostly up forward pushing up the ground. The hard nosed defender was impressive, laying seven strong tackles. He brought a bit of aggression out there and proved very hard to beat one on one, rarely losing a contest. He didn’t have a lot of the ball only collecting five possessions but used it well. Mansell showed a little bit of spread and speed off the back flank but needs to add more of that to his game so he can be a solid contributor both defensively and offensively, not just defensively. Quint had a okay day, gathering 10 possessions. A highlight was his hands in congestion. He kicked a nice goal to go with four inside 50s and kicked the ball well. The Tasmanian had a strong day at the office playing midfield and resting up forward. Jones is really hard at it in the contest and laid seven tackles for the game. When he doesn’t have the ball he was the willingness and desire to put as much defensive pressure on as he can. He kicked the ball well and made good decisions with ball in hand. He was both strong on inside and outside. Coleman had seven possessions for the day playing down back, he was very strong defensively laying five tackles. He does have the ability to break the lines but he wasn’t able to do it enough having only two rebounds. Definitely one to write down for the 2019 draft. He has really good hands in congestion. O’Neill also took a nice contested mark. He had 18 possessions and kicked the ball well, also booting a nice goal. He took the game on and was able to rebound well having three rebound 50’s for the game. O’ Neill made the All Australian team. The backman had 19 possessions for the day, I thought he played really well mopping up defensively. He was also good offensively rebounding four times and showcasing his really good foot skills. Richardson showed some good run and carry and the ability to break the lines. Defensively he was good one on one. Another Allies defender who had a strong game, Matthews has really solid pressure in the contest. He only laid three tackles, but the work he does off the ball that doesn’t get any stats for was noticeable. He took five marks and a couple of those were intercepts. Matthews was great offensively as well having five rebounds. He kicks the ball well and showed some run and carry. The captain had a fantastic day for Allies. He played more in the midfield collecting 30 possessions. His clearance work was really good having six. He had really good hands in congestion and tackled really strongly showing some aggression with five tackles for the game. He kicked the ball well, especially late when he hit team mate Nick Blakey on the chest with a 40-meter kick. Scott was able to hit the scoreboard as well with a goal. He rebounded strongly with three rebounds and also had three inside 50s. The skipper also took a great mark. The wingman is a great runner and ran hard all day, slotting two great goals on the run at critical times. He had 24 possessions and showed strong hands in the contest. Turner rebounded really well having three for the game and his kicking was solid all day. Turner plays mostly on the wing is a outside damaging player. Mummery had a quiet day with only the four possessions, however, he was really good defensively laying five tackles. He also was good one on one in marking contests, taking a fantastic contested mark. The tall midfielder put good pressure on the opposition and used his trademark long handballs into space to set up teammates running passed. Just the 11 disposals on the night, but he had a couple of crucial intercepts late, including one tackle which earned him a holding the ball free kick. Also had a couple of clearances and inside 50s on the night to end up with a solid performance. The forward showed some good glimpses in patches, kicking a goal early in the piece, working hard for leads and being creative through midfield. Not a high accumulator, he presents when required and plays that medium-tall role well. The 190cm utility continues to impress with his super quick hands and strong contested marking ability. He took a great grab on the goal line in the second half to nail a vital goal, then handed one off to Mitch O’Neill who kicked truly from long range. He uses his body well one-on-one and has shown promising signs he can develop into an inside midfielder who drifts forward and has an impact. Playing in defence, McGuiness rebounded well from the back 50, working in tandem with Jacob Koschitzke and Nick Baker. Positions himself well and is able to put pressure on opposition forwards, while taking some strong marks. One of the most improved players across the tournament, Koschitzke played another strong game out of full-back, taking some good contested marks and rebounding strongly. He showed good courage backing back with the flight on a couple of occasions and applying his penetrating kick to clear of the defensive zone. The clear dominant ruck on the ground once again and deserving of the Allies’ Most Valuable Player (MVP) for the carnival. It was clear Briggs has a huge tank and covers the ground well, barely taking a break. His second efforts are a highlight and he continually does the defensive things right as well. I would be surprised if it was not just the GIANTS keeping an eye on the overager. 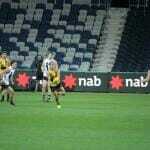 The Murray Bushrangers forward started slowly but worked into the game in the second half. He kicked a good goal on the move, and missed a chance to add a second. Walker showed good hands in close, giving off lightning quick handballs to teammates and opening up space for them. The athletic big man was often found pushing up onto a wing and showing off his versatility. He laid a really big tackle early in the piece and took a great intercept mark and drove the ball long inside 50. Not a huge accumulator, but a long kick of the football and can play anywhere. The potential top 10 pick was relatively quiet again by his lofty standards, but he did pick up in the last quarter where he kicked a great set shot goal to get the Allies team up and about. He has the cleanest hands at ground level, and could pick up a soaking ball with velcro-like hands. Had a big clearance in the first term that resulted in a Nick Blakey goal. Thomas was terrific defensively laying a number of good tackles to stop opponents in their tracks. Played up the ground through the midfield as well as at half-back and was strong one-on-one. He managed to get his hands on the football a bit and continued to remain involved in the contest. He was one of the Allies’ more prominent ball winners in the match. Just enormous. After being held early, Blakey came into the game with a bang once moving into the middle, winning two early clearances in the second half. He used his big body to impact the contest and then drifted forward to provide a contest. He had a brilliant dart of a pass to Mathew Walker in the third term and his disposal by foot was terrific. Just got better with every game he played and yesterday was huge when the game was on the line. The lively small forward wasn’t as influential as compared to his dazzling performance against Vic Country, but still showed glimpses of his potential. His desire to run and chase opposition defenders is outstanding for someone his age, and his ability with ball in hand is unbelievably good. The dynamic defender was outstanding for Western Australia, with his run and carry, skills and vision all on display. He also produced the match-saving spoil and tackle that secured WA the victory. The South Fremantle product finished with 13 possessions and two goals but the stat line doesn’t emphasise how good he was. In the first quarter, he stood up in a tackle and got the ball to Brad Oldfield who duly converted the opening goal of the game. Then late in the first quarter, he gathered the ball at full pace, sidestepped an opponent and snapped one through. The youngster has been likened to Alan Didak and shapes as a genuine match winner for any AFL club. Smallwood was extremely lively in the forward half for the Sandgropers, often setting up attacking forays. Not unlike Adelaide star Tom Lynch, Smallwood was the connector between the midfield and the forward line and he played the role to perfection. The Claremont product was outstanding in the midfield. A beautifully balanced player with exceptional skills and sound decision-making, Morgan wielded an influence on the inside and the outside. He shapes as a potential bolter come draft night. The acting captain of the day, English showed why he is such a highly rated prospect. He was tough, combative, skilful and smart against the Allies. He finished with 25 possessions and six tackles in what was a tremendous display. The bottom-ager did his stocks for the 2019 AFL Draft no harm whatsoever with an accomplished display against the Allies. His vision, speed, skills and smarts all make him an attractive player, and he would be thoroughly deserving of All-Australian selection. The Fremantle Next Generation Academy player showed glimpses of why he is such a highly rated prospect. His dare to take the opposition on should excite the Fremantle recruiters and his speed was unmatched by any Allies player. The Northam product’s stocks continue to soar by the week. Against the Allies, Stack was aggressive, tough, skilful and dynamic. In the last quarter, he soared for a mark, roved his own crumbs and dribbled through a goal. He finished with 20 possessions and seven clearances. Arguably the best player on the ground, Clark deservedly took home the WA Most Valuable Player award. He finished with 29 possessions and 11 rebounds, and was often a catalyst for WA’s drive from the back half to the forward half. His skills, vision, composure and toughness will all make him an AFL star. Hansen started the game in terrific fashion, taking an early intercept mark and gathering plenty of possessions. He showed the ability to kick on both sides of his body and his decision-making with the ball in hand was superb. Hansen was able to use his speed to escape the congestion and to provide run on the outside of the contest, which proved handy for Western Australia going forward. In the third quarter, Hansen read the play superbly and was able to take an intercept mark at full speed in the middle of the ground, resulting in a Western Australian goal. Hansen had 19 disposals and more than 300 metres gained. 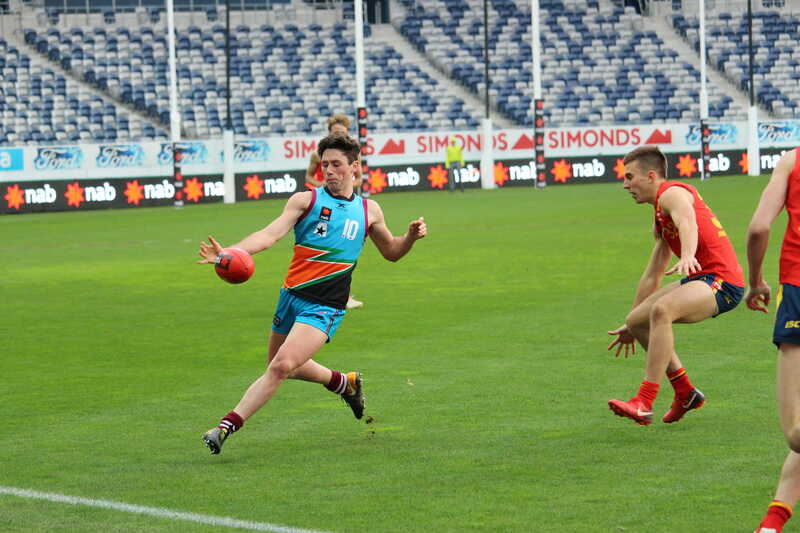 The bottom-age midfielder looks to be one to keep an eye on in next year’s draft. He didn’t have massive numbers by any means but what impressed me the most with Robertson, was his work-rate. He chased hard defensively and he was able to make plenty of contests in all areas of the ground, due to his gut-running. Foley was pivotal in the midfield for Western Australia, setting the standard required for his teammates by making a strong impression early. He accumulated disposals in all areas of the ground, on the inside and outside of the contest. His clearance work was really good, but his tackling was even better. Foley never gave up and he tried his hardest to make an impact, both offensively and defensively. Powell started in defence and was solid. He tackled strongly and had some nice defensive spoils. In the second quarter, Powell coped a big knock and was unable to have the same influence. He bounced back in the second half and was responsible for the in-form Connor McFayden at times. Powell continued to spoil strongly and he started to find more of the ball as the game went on. Miller was prominent down back and was one of Western Australia’s best on the day. His competitiveness and strength in the contest were noticeable throughout the match. Miller positioned himself well defensively and rebounded effectively. He amassed 22 disposals and used the ball well. The highlight of the day came in the second quarter when Miller took an eye-catching pack mark over four players on the wing. The classy defender spent a considerable amount of time on the in-form forward, Nick Blakey. Spooner kept Blakey to one goal in the first half and played his role fabulously. His ball use was top-notch and he was clean below his knees. His finest passage of play came in the second quarter when he kicked an absolute bullet inside 50 to the leading Tom Medhat. Pasini started the game in the defence and was solid. He did not have the same stats to most of his teammates, but he undeniably played a crucial role in limiting the Allies forwards impact during the game. The versatile forward was Western Australia’s most dangerous in the first half and he proved difficult for the Allies defenders to stop. He kicked his team’s second goal of the match with a running goal from 40m out, demonstrating his composure in pressure situations. 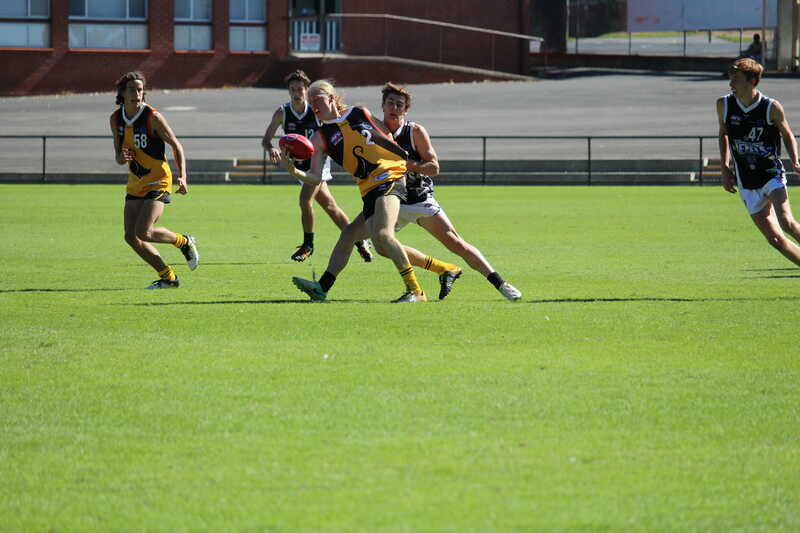 Medhat found plenty of space in the second quarter and kicked his second goal only three minutes into the term. He pushed into the midfield at times and showed the ability to win the contested ball. 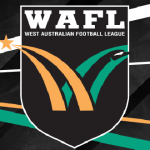 Medhat kicked his third goal of the term in the dying minutes and was one of the main reasons behind Western Australia’s dominance in the first half. He didn’t have the same effect in the third and fourth quarters, but he continued to work hard at making himself an attractive option in the forward 50. O’Reilly started in the forward half and shared ruck duties with Jack Buller throughout the game. He showed his athleticism early, winning some impressive jumping hit-outs to give his midfielders first use. O’Reilly kicked his first goal of the day in the second term, with a terrific snap around the body. He continued to hit the scoreboard for Western Australia, booting his second goal in the third term after leading successfully into a large amount of space inside 50. Oldfield was outstanding in contested situations, winning the ball in tight and dishing the ball out by hand to his teammates. Oldfield found plenty of space in situations that you shouldn’t, which helped him make the correct decisions with ball in hand. In the first term, he was involved in an important passage of play where he kicked the ball inside 50 to a teammate and then sprinted extremely hard to make himself an appealing option to receive the ball back, resulting in the first goal of the game. His work rate and hard running was evident across four quarters. The bottom-ager played on Nicholas Baker and arguably beat him in the first half. He booted two essential goals in the space of 10 minutes in the second term, instantly becoming one of the most dangerous forwards on the ground. Georgiades showcased his sticky hands and the ability to mark the ball at its highest possible point. His set-shot goal kicking was spot on and his technique was sublime. He was unable to have the same influence in the second half, but his 10-minute burst in the second quarter was enough to get me excited for his draft year in 2019. Buller’s competitiveness and ground level work for a big man was on display from the get-go. He was beaten in the hit-out department to the bigger and stronger opposition ruckmen Kieran Briggs, but as soon as the ball hit the deck, Buller basically turned into a midfielder. His follow up work was magnificent, his pressure on the opposition was clear and he won plenty of contested possessions. After his dominant first half, Buller went into the main break with 11 disposals to his name. He was much quieter in the second half, but there’s no doubt he was one of Western Australia’s main contributors in the first two quarters. The bottom ager started a little shaky by foot early. He has really good hands in congestion and has the endeavour to put on pressure and really goes in the contest with pace. He showed courage when taking a mark back with the flight, knowing there would be contact. Mahony kicked a ripping snap goal at the start of the third term. With a goal and 17 possessions to his name, he played well. Ayton-Delaney has the ability to really break the lines and hurt his opposition with it had five rebounds to his name which shows this. However, he did make some poor decisions with the football. He tends to use the ball fairly well, however his decision making leads him to turn over the footy and this happened a few times. Interested to see how he goes in the back-end of the year for Xavier College and Oakleigh Chargers. Yesterday was set to be Butters’ last game for the season as he is going in for shoulder surgery next week. Sadly his season send-off ended early with a injury to the same shoulder. He showed a willingness to take the game on with his three possessions. Butters is quite small in stature, but is a slick and crafty player. West did not have a big day against South Australia only having the 12 possessions. He has really solid hands in close, also making decent decisions with it. He kicked fairly well especially when he tried to open the play up. The Western Bulldogs father-son prospect is looking like at this stage a late first round, or early second round selection. Rowell had a fantastic day at the office, with the hard nosed midfielder collecting 20 possessions for the day. Rowell has break away speed from stoppages which caught the eye. On top of that he has really good hands in congestion. He is a fantastic tackler and managed seven for the day. He used the ball well on his left and right having four clearances and three inside 50s. Definitely one to watch for the 2019 draft. Taylor is pure class inside the forward 50. He had eight possessions for the day, but really made each one of them effective in play – two of his forward tackles resulted in set shots. He also had two inside 50s and was dangerous up forward for Vic Metro, booting two goals. A quieter day for Hanrahan with 12 possessions. He is a real interesting type; starting forward he did not have much impact, but after moving to the wing he started to get his hands more on it. He has good hands in close and managed nine handballs. Only having three kicks for the day is slightly disappointing as his real strength is his kicking on his left and right. It’s hard to tell exactly where Hanrahan fits. I think he could fit around the mid second round to fourth round. Really depends on his second half of the year. McKenzie played off the half-back flank and was one of Metro’s best in the first half. He provided run and carry out of the defensive 50 and his ball use was very good, on most occasions. He stayed composed under pressure, especially when South Australia were repeatedly entering their forward 50. He did most of his damage in uncontested situations but has proven in the past that he can win the ball on the inside when necessary. Along with the majority of his teammates, he started slowly but quickly found himself more involved as the game went on. He spent most of his minutes further up the ground, rather than deep, which is a position I do enjoy him in. His best passage of play came in the third quarter when he showcased his agility and speed with an exciting blind turn in the middle of the ground, effectively releasing the ball by hand to an outside runner. The hard-running, endurance beast was one of Metro’s only shining lights in the first half. Smith never gave in and tried hard all game, even when things were not going his way. His tackling was strong as always and he won the ball in contested and uncontested situations, which is why he’s so highly rated. His clearance work was impeccable and he was able to find plenty of the ball, finishing with 22 disposals. His positioning and effort in the defensive 50 were below par at times, but it is something that he will work on during his development. It was an up-and-down game for Answerth, who received a red card at the half-time break and missed the first 15 minutes of the third term. He showed that he can have a big impact on the contest with his ball-winning ability and link-up play, but was completely exposed in defensive situations. Answerth was responsible for the red-hot forward Izak Rankine, who was near-impossible to stop. There were a couple of moments that Answerth was caught ball watching, forgetting to give Rankine enough attention, which resulted in Rankine booting some very easy goals, with no defensive pressure applied. This is common with junior footballers and of no big concern. He will improve in this area as he progresses through his development. The captain gradually worked into the match and was vital in stages throughout the second half. O’Halloran only had the 10 disposals but definitely made them count, which makes him such a damaging player. He did his best work in the forward half of the ground and was involved in one of cleanest passages of play in the game. In the third quarter, he was able to drill a 40-metre kick inside 50 to the leading Ben King, who marked and kicked truly, keeping Metro in the game. O’Halloran hit the scoreboard himself in the last minute of the third, after taking a strong contested mark 20 metres out. Bytel was at his best in tight, where he could gather possession and release the ball by hand to his teammates on the outside. His ball use by foot was inconsistent. He turned the ball over on multiple occasions but also displayed that he can hit targets in high-pressure situations, on both feet. Bytel spent some time down back in the second half but was unable to have any real influence on the match. Khamis spent some time on the highly-rated Connor Rozee, with the athletic rebounding defender doing his best in trying to limit his impact. Khamis read the play well, his ball use was good and his intercept marking was a standout. Khamis has progressed rapidly over the past year and did his draft chances no harm. The exciting bottom-ager from the Oakleigh Charges contributed to Metro’s midfield and looms as one of the top prospects for next year. He didn’t have the biggest effect on the game but his ball-winning ability, speed and clean ball use was a sign of things to come in 2019. #26 Riley Collier-Dawkins – The big bodied Oakleigh midfielder was in and around the stoppages for long periods of the night, but struggled to have the impact of earlier matches. He often won first possession, but struggled to find the opportunity to release as the South Australians wrapped him up quickly. While he would only win eight disposals, Collier-Dawkins still produced moments that showcase why he is now regarded a first round prospect. He took a great overhead mark and played on with acceleration inside 50, but couldn’t finish off his work by foot. In the third term he raised his arms high at a stoppage to release a teammate brilliantly on the outside, before showing his defensive presence by producing a heavy tackle on Valente later in the quarter. #27 Will Kelly – Starting on Lukosius, Kelly was one of the only Vic Metro defenders to keep his opponent accountable with offensive run during the early onslaught. He intercepted and rebounded with style, but also defended admirably by holding the most talked about player of the draft pool to one goal. He went forward in the final term and looked capable leading to space, while also setting up Bailey Smith in the corridor. The son of Craig and brother of Jake at Adelaide finished with 17 disposals to be one of Vic Metro’s better players. You suspect the Pies won’t let another Kelly father/son prospect slip on this occasion. #28 Ben Silvagni – The second of the Silvagni boys came to Etihad Stadium with some expectation from the Carlton faithful and he started okay forward considering the lack of early opportunities. He took a nice overhead mark on the lead inside 50, before a brilliant piece of play on the wing where he shrugged a tackle, disposed the ball to a teammate and ran hard forward to receive the kick on the arc. A disappointing set shot after the half time siren could have given his side some life going into the break, but instead instigated a small melee. He was moved to defence in the second half and faded as the match wore on. #29 James Blanck – After an excellent performance in defence against Vic Country at the MCG, Blanck was given a small reality check by a rampaging South Australian side. He was exposed physically against the bigger Hugo Munn in the first term, who out muscled him one on one on two occasions. He positioned himself better as the game went on, but couldn’t have the same impact offensively as his previous game. He finished the night spending time in the ruck. #34 James Rendell – Rendell is another father/son prospect who has ties with Brisbane through his father Matt’s 164 games for Fitzroy. The 198cm forward/ruck has shown signs of promising AFL attributes throughout 2018 and again produced moments of interest against South Australia. After a quiet first half he came to life in the third term, kicking a banana out of congestion that bounced to Jack Mahony in the corridor to set up a goal. He then produced one of the highlights of the game to take a towering pack mark deep inside 50 and kicked truly to continue his side’s fight back at the time. A goal, 12 hit outs and 11 possessions was a solid outing when considering minimal Vic Metro contributors. #35 Thomas Hallebone – The lanky 201cm Northern Knights ruckman had moments throughout the day to suggest that he can develop into a capable prospect with time. While only winning five disposals for the game, he took a strong intercept mark in the first term. In the ruck he has skills, highlighted by a soft touch that the midfielders can easily read. He is currently more effective at the centre bounces where he can jump at the ball, as the bigger bodied, albeit shorter James Siviour was able to easily push his 83kg frame out of position at around the ground stoppages. #36 Ben King – King again proved his potential No.1 pick worth with a four goal haul on arguably the biggest pathway stage against a mighty South Australian outfit at Etihad Stadium. While he lacked opportunities in the first term with the ball seemingly forever at the other end, he took his chance in the second quarter with a series of strong marks and smart leads. He attacked the ball at its highest point, often leaving his opponent with no chance. That was highlighted perfectly in the third term as he brought down a contested mark on the move with Riley Grundy right on his hammer creating immense physical pressure. He made the most of his shots on goal too, kicking four goals straight from only seven disposals. The recruiters also got their wish of the dream King/Lukosius match up in the second half, but unfortunately it was a bit of a letdown as they rarely competed aerially. Another SA player that goes in hard. Played his role as small defensive forward and crumbed a good goal from the pocket and set up a teammate’s goal with some great pressure. Really stepped up and provided a number of dashing drives from half-back. With 16 disposals he used the ball also really well, broke some tackles due to his pace, and nearly got a goal bursting inside 50. Has really improved his draft chances and is a Port Next Generation Academy. The midfielder had a quieter game but still managed to lock in four tackles, which is what you need to do when the ball is not coming your way. Can play the first receiver really well and his possessions normally matter. This was the return to form we were waiting for, Rozee had the 18 disposals and four clearances. Managed the miracle goal out of the back of the pack with a smart kick and was smooth when he had it. But it was his desperation that really showed off as he was diving for smothers, chasing at speed and on multiple occasions jumped up to intercept or bring to ground a Vic Metro kick, killing off their rebound. One word – Magic! Booted five goals and about four of them were goal of the game contenders. Just so special, and no doubt his highlights package will be something to marvel over. A class above on the night. Literally living at the bottom of a pack, this inside bull was outstanding. Had 18 disposals and eight tackles. Lewis continues to find the footy under enormous contested pressure and dish out to teammates. A memorable play was where he was on the ground in the pack, got the footy, stood up, bursted out of the congestion with 2-3 Vic Metro players on him and dished to a teammate. Scored a nice goal in the last quarter. Was important key ball winner for SA and was dominant early on the wing linking play to the SA forwards. Always looked damaging with the ball and used it well and when Vic Metro came back in the third quarter he worked back well. Certainly one of SA’s best for the day finishing with 22 disposals. Another player who had an impact when it was his turn, and finished with 17 disposals and five inside 50s and did like some of his work down back when he won some key one on ones and fed the ball out. Another contributor who rarely lost a contested ball when in his area. Another solid and productive game for the defender. Managed to grab some intercept marks and always was poised with the football and efficient. Looked well balanced and calm when Vic Metro had a run in the third quarter. A key for the SA defence all tournament and absolute leader down back. His seven tackles were evident of his work rate and willingness to chase and compete. Great leadership shown. The goal sneak is a real enigma as he always looks dangerous near the footy and around goal and was rewarded with another two goals. He roved a ball off the pack at speed and class which showed off his ability. He worked up the ground at times and was also good in at the contest. Drifted in and out of the game, but when he is near the footy, things happened that really benefit his team. Had limited possessions but this game really saw his class when challenged. Would rarely be beaten for the footy and just a classic “played your role” game which was vital for the team. He reads the play well and is the third man up at times with timely spoils as well as finishing with five marks intercepting when required. Hately produced another fantastic performance when it mattered most in the title decider. Hately capped off a consistent carnival with 23 disposals in the final game a team high and also a game high of six inside 50’s. He had ten disposals in the first quarter as the Croweaters could no wrong, his brilliant quarter was shown in finding Rankine with a pin-point kick inside 50 to his advantage on the lead. Hately was deservedly named in the forward line of the U18 All Australian team. Norwood’s Jacob Collins was called up for his first game of the carnival and rewarded selectors with a solid game. Collins had plenty of touches early on as the South Australian defence exited Vic Metro’s forward line with ease. Collins ball use from defence early was terrific as South Australia punished Vic Metro’s poor forward entries. Had a knock in second quarter which curtailed his influence somewhat, but still managed to have 13 disposals and five inside 50s. Grundy had the easiest job on field in the first quarter as the service to Ben King was nothing sort of horrific. But once Vic Metro responded, delivery to King was maximised as the height difference between King (202cm) and Grundy (195cm) in the marking contests started to show. Grundy struggled at times to compete with King aerially, as King finished with four goals. Grundy has had a solid carnival down back with Will Gould and has done decent jobs on the each team’s key forward. Lukosius took a back seat to the Izak Rankine show early on and was quiet in the first term. In the second quarter Lukosius kicked his first goal after a great passage of play by the SA onball brigade, as Munn tapped it down to Lukosius who converted on ground level. In the second half the recruiters got their carnival wish as Lukosius was sent back to stop King from continuing his dominance. Lukosius certainly assured the SA backline and took intercepting marks down back to prove that he is almost the prototype footballer that can play in almost any position. His brilliant carnival was capped off with the centre half-forward position in the U18 All Australian team and is likely to be taken at pick one in the AFL National Draft. Under-age defender Will Gould was a monster down back for his side as he also had a carnival high of 17 possessions for the match. Gould took it upon himself to be more adventurous out of defence once he was joined by Jack Lukosius down back proving his versatility. Gould was deservedly awarded with a spot in U18 the All-Australian team on the interchange, as massive achievement for the 2001-born player. Siviour produced his best performance for the title decider as he took care of ruckman Tom Hallebone, Joe Griffith’s replacement. Siviour contributed with 28 hitouts, 10 disposals and goal, his intercepting down back was a highlight as took six marks for the day, as Hallebone could only manage one. Munn was on fire in the first quarter as he dominated opponent James Blanck tacking a pack mark and converting truly and another contested mark against his opponent and fed a running Rankine who kicked it from the goal square. Munn has showed some brilliant signs and efforts throughout the carnival as finished as one of the top goal kickers with Lukosius, Rankine and King. 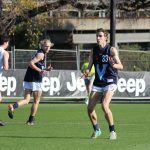 TWO players in contention for the number one pick in the next two years’ National Drafts put Western Australia to the sword up forward, as Vic Metro recorded an 18-point win in its first game of the National Under 18s Championships. Sandringham Dragons key position swingman Ben King, one of a number of players vying to be called out first on draft night this year, booted five goals from 15 disposals and five marks. Potential 2019 number one pick Noah Anderson was equally as damaging, booting four goals from 20 disposals and five inside 50s, with the Oakleigh Chargers utility causing all sorts of headaches for the Black Swans defence. Vic Metro led at every break, booting three goals to two in the opening term, then piled on four goals to three in the second quarter, to open up a 15-point advantage at the main break. Once again the visitors managed to keep the ascendancy bagging three goals and keeping the Black Swans to two majors in the third quarter. The Oakleigh and Sandringham contingent was impressive through all the thirds on the ground. Along with the two key goal scorers, Metro vice-captain Bailey Smith (28 disposals, five clearances and 10 tackles) was vital in the midfield, working alongside Calder Cannons’ inside midfielder Rhylee West (25 disposals, nine clearances, six marks and nine tackles). Chargers’ pair James Rowbottom (22 disposals, seven tackles and two clearances) and Isaac Quaynor (20 disposals, seven rebounds) were also impressive, with the pair named in the best. For Western Australia, it was a vastly improved performance from the 89-point away drubbing at the hands of South Australia, but it does mean their title hopes are all but over, with just two games to come against the Allies and Vic Country. Key Position forward Dillon O’Reilly booted three goals for the Black Swans, while top draft prospect Ian Hill (11 disposals, six tackles and three inside 50s) found form in the second game, nailing two goals and was named among the best. Peel Thunder’s Brad Oldfield was also impressive, slotting two goals and was one of the best afield. 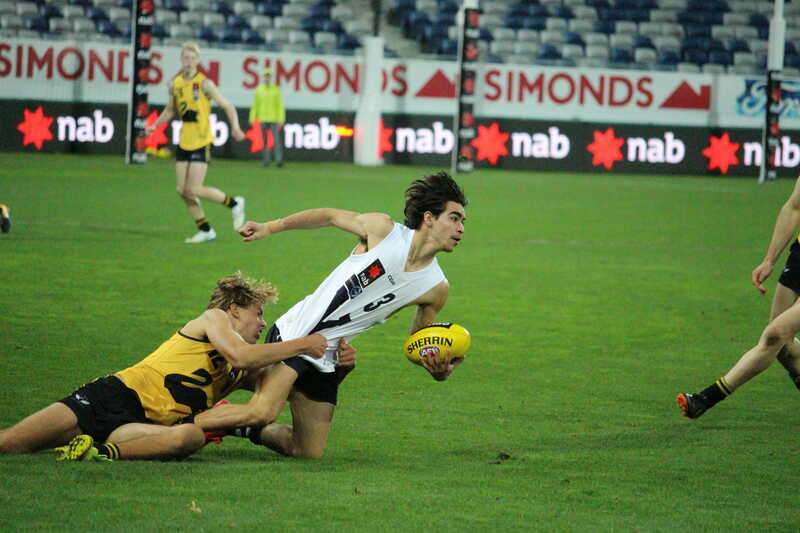 Luke Foley‘s (17 disposals, six clearances and five tackles) first game of the National Under 18s Championships saw the overager light up the stage and was named second best behind Jeremy Sharp (26 dispoals, four marks, two clearances and three inside 50s). The Black Swans showed great defensive pressure, laying 80 tackles to Vic Metro’s 64, while only having 21 less disposals. The eight less inside 50s hurt the home side in the end, but they matched them in most areas, including through the midfield, winning the hitouts thanks to Luke Jackson (25 hitouts) and had just three less clearances. Foley, Sydney Stack (four) and Luke English (three) were the main extractors in the middle, while Jack Buller had a team-high five rebounds. For the winners, Noah Answerth assisted Quaynor in defence with four rebounds, while Metro captain Xavier O’Halloran had seven inside 50s and four clearances from his 18 disposals. Sandringham Dragons pair Angus Hanrahan and Jack Mahony combined for 34 disposals, four marks, seven inside 50s and two goals in a strong showing. 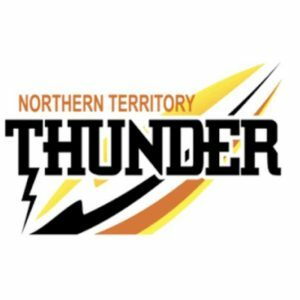 Western Australia has a 19-day break ahead of its next match with the bye in Round 2, and the Black Swans having already played their Round 3 match against South Australia prior to Round 1. They face Vic Country at GMHBA Stadium on June 29, before a clash at Etihad Stadium with the Allies on July 4. For Vic Metro, they head north to Southport to face the Allies, before travelling to the MCG for an all-Victorian clash with Vic Country as a curtain raiser to the Carlton-Collingwood game on June 24.